Elastic Cord & Webbing, Inc.
Elastic Cord & Webbing, Inc., are a leading resource for flat elastic, round elastic, and non-elastic cord, webbings, and tape. The company manufactures their own products in-house, with numerous styles and variations available to meet the needs of a diverse customer base. From braided elastic cord and cotton webbing to nylon tape and sew-on and self-adhesive hook and loop materials, Elastic Cord & Webbing offers high quality products for all industries and applications. The East Dundee, Illinois-based company aims to provide customers across the United States with competitively-priced products that exceed expectations, deliveries that meet project timelines, and personalized customer service. 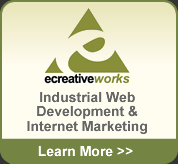 For more information, visit them online at www.theecwcorp.com.